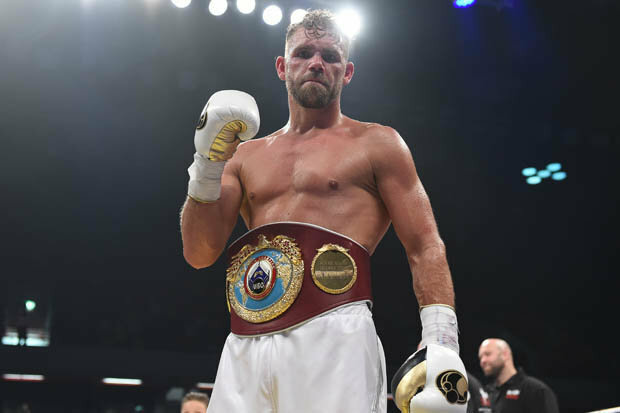 BILLY JOE SAUNDERS claims Gennady Golovkin is running scared after giving him the swerve for a summer showdown. WBA, IBF and WBC middleweight champion Golovkin was on the hunt for a new opponent after Saul ‘Canelo’ Alvarez was hit with a six-month drugs ban to KO their May 5 clash.But instead of attempting to secure a unification clash with WBO king Saunders, the Kazakh star Golovkin is set to fight fringe contender Vanes Martirosyan instead.Saunders, who has now turned his full attention to facing Martin Murray on June 23 , says the decision proves Triple G is avoiding him. He said: “I believe if they really wanted to fight me and I wasn’t seen as a threat, it would have been done. “I think they know deep down that I’m bad for business at the moment. Golovkin and Canelo will fight later this year and earn about £50m each. “Does Golovkin want to take a chance and fight me before that?